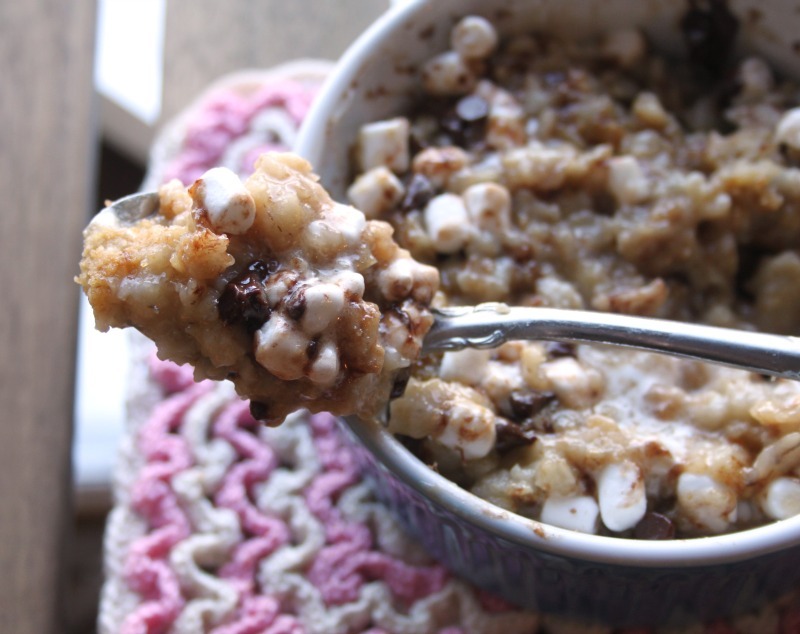 I have fallen in love with my S'mores Oatmeal. Oh it sure is a lot better than eating plain boring oatmeal! Until this morning I had just been eating oatmeal sprinkled with pumpkin pie spice, brown sugar and then a splash of sugar free pumpkin spice creamer. 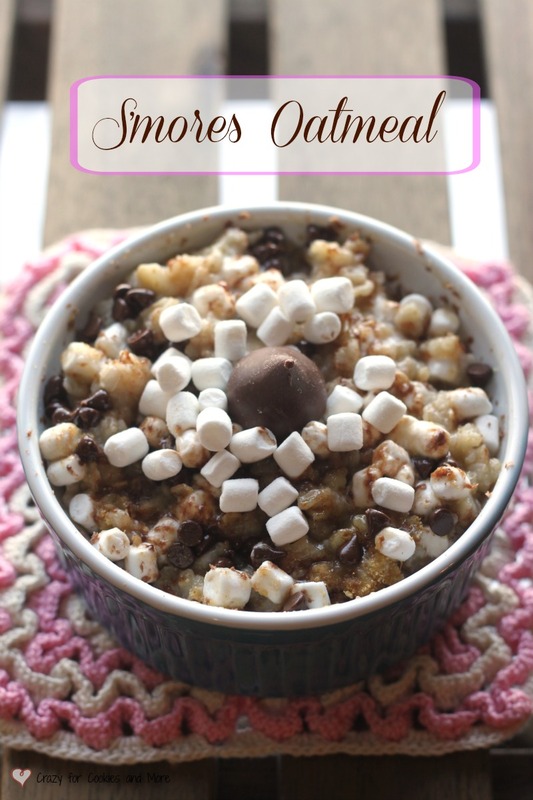 It was better than plain sugared oatmeal but his S'mores oatmeal is over the top good!!! 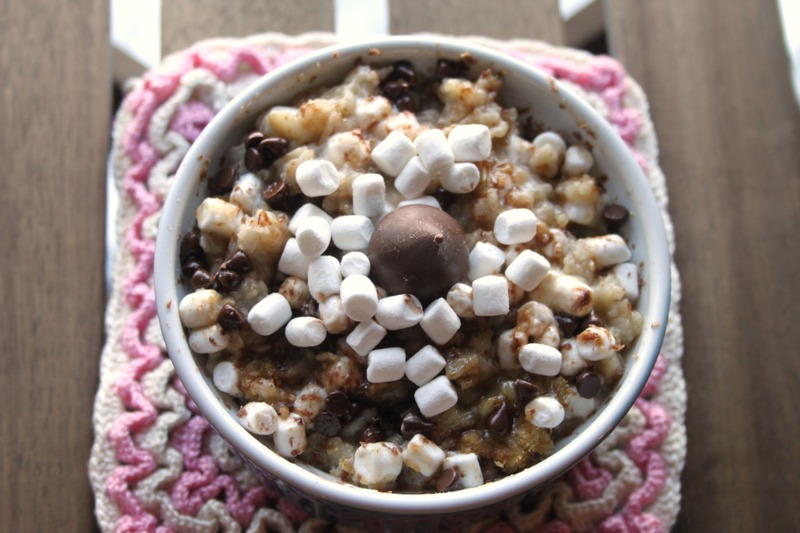 My favorite parts of the oatmeal was the tiny marshmallows, mini semi chocolate chips and then the Hershey kiss I grated over the top! In a medium size microwave safe bowl place the oats and water. Microwave for 3 minutes. Let sit for 1-2 minutes until oatmeal sets up a little. Pour oatmeal into a small bowl. Stir in the sugar and graham cracker crumbs. Next stir in the marshmallows and chocolate chips. If desired grate a Hershey Kiss over the top of all this yummyness! Hello camping breakfast idea! That is...the breakfast of champions...;) Thanks for sharing! This isn't breakfast, this is DESSERT! :) Yumm! Ummmm....I clearly need more oatmeal in my life if it involves smores. Pinning! 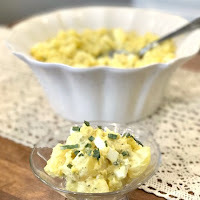 Thanks for sharing this yumminess with us at the Best of the Weekend Link Party!